Reliable technology combining 4 functions in 1 module! The KNXNode III is a powerful, multifunctional KNX module, which combines several KNX functions. The KNXNode is also a BacNet server-interface. The KNXNode is backwards compatible with its predecessors EibNode, KNXNode and KNXNode II. 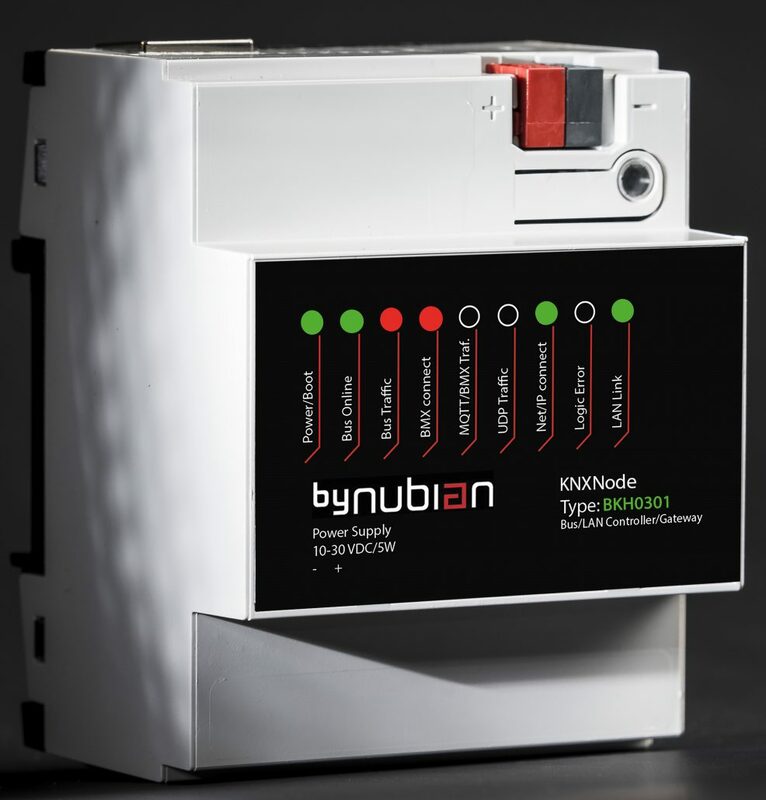 Known as one of the most performant KNX controllers on the market, its potential is now fully used thanks to the integration with the other components of byNubian. You can download the KNXNode brochure here. The KNXNode can be used as an interface for programming KNX/EIB via IP and is compatible with ETS3 , ETS4 and ETS5. Assigning the IP address is done either manually via the free KNXClient software or automatically by a DHCP server. The KNXNode can also be used as a BacNet server-interface. Up to 3000 KNX-addresses can be converted to BacNet. The KNXNode also possesses the full functionality of a KNX line/area coupler and offers a backbone transfer rate of 100 Mbit/sec. instead of 9.6 kbit/sec. Up to 4000 logical, time and mathematical features are available for the automation of your project. Using the intuitive KNXVision Studio (free), also more complex functions can be easily programmed and (if necessary) subsequently readjusted. Programming logical functions is one thing, thoroughly testing another. For that you get assistance of the KNXVision Studio simulation features so you can follow every step visual, off- and online. 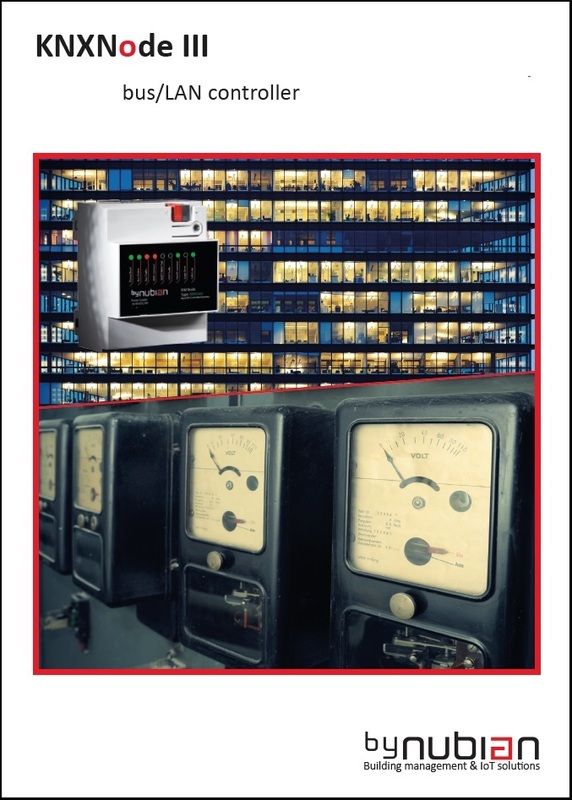 As data logger the KNXNode stores all KNX telegrams internally and externally in combination with the byNode on the byNeuron cloud server for further analysis, which can be supplemented with relevant external data. The ETSx project information is used to build up a database automatically with relevant designations. No time wasted with exporting data, or need of knowledge of databases or Excel. All you need to do is log on to the byNeuron cloud server where your personal project space is available (requires a monthly subscription). byNeuron software components are the ideal companions for real-time monitoring, including the “run” status of the bus coupler of all components. In case you are confronted with “strange phenomena” you will find the cause in no time! Supports more than 4000 logical functions! 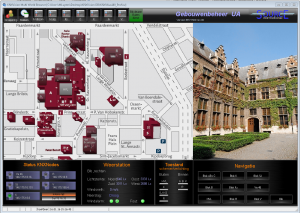 With the KNXVision software you can easily create a clear visualization of your building(s).